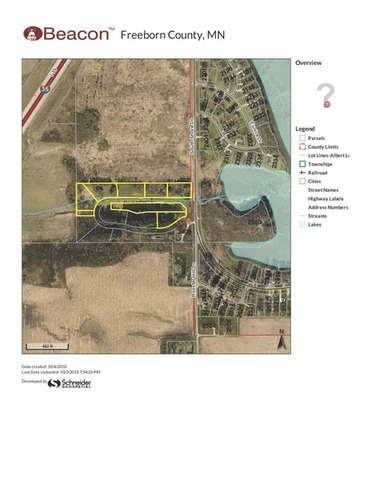 ALBERT LEA MN, SCENIC, VERY PRIVATE SUBDIVISION, 6 LOTS, ALL READY PLATTED. APPROX. 10 ACRES 700+ BEAUTIFUL PINE TREES, CITY SEWER & WATER, ALL 6 LOTS SELLING TO ONE BUYER. GREAT FOR INDIVIDUAL OR HOME BUILDER. ***All Lots will be sold to ONE Buyer. Beautiful Lots To Build Your Dream Home! Real Estate Terms: $7,500.00 Down The Day Of The Auction For The House. $1,000.00 Down The Day Of The Auction For Each Lot. The Balance Is Due In Full On Or Before November 30, 2018. All Real Estate Is Selling AS-IS, With Any And All Faults. 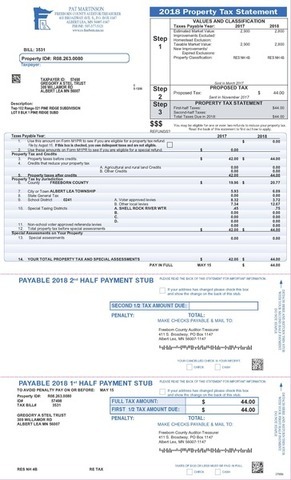 All Real Estate Taxes Shall Be Pro-Rated To Date Of Closing. All Real Estate Is Selling With No Contingencies What So Ever. All Bidders And Buyers Must Have Their Financing In Order. 5% Buyers Fee Applies. Terms For Personal Property: Cash, Check, Credit Card. All Sales Final. All Items Must Be Paid For In Full The Day Of The Auction All Items Selling AS-IS Condition. 10% Buyers Fee Applied.